Sometimes you just have to take flight.A summer in New Orleans is exactly what Allie needs before starting college. Accepting her dad’s invitation to work at his hotel offers an escape from her ex-boyfriend and the chance to spend the summer with her best friend. Meeting a guy is the last thing on her mind—until she sees Levi. 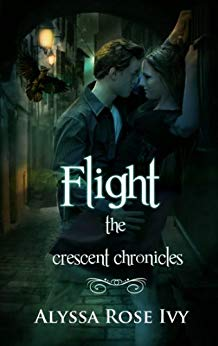 Unable to resist the infuriating yet alluring Levi, Allie finds herself at the center of a supernatural society and forced to decide between following the path she has always trusted or saving a city that might just save her. (Mature Young Adult / New Adult, contains sexual situations, underage drinking, and mild language).